Not your old school alley, Pin Strikes is more than just bowling. It's an entertainment mecca and fun kid zone for all ages in Macon, GA. Whether you're celebrating a birthday or seeking a night on the town with friends, this bustling amusement complex has it all. 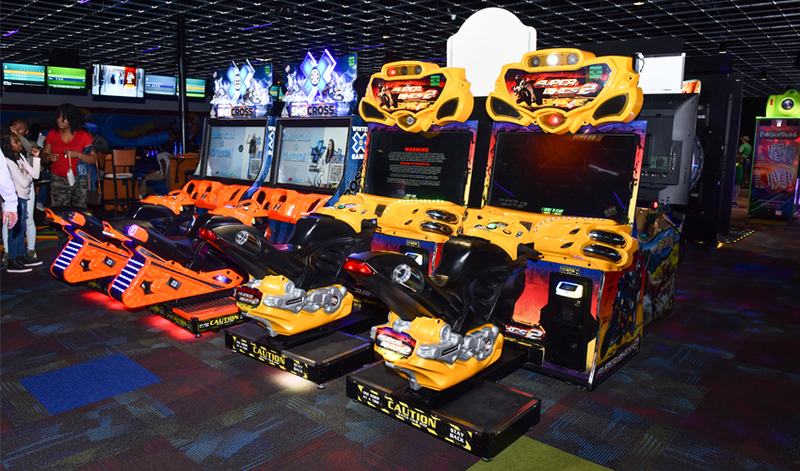 Play a round of laser tag and hop over to the arcade for your favorite video games. 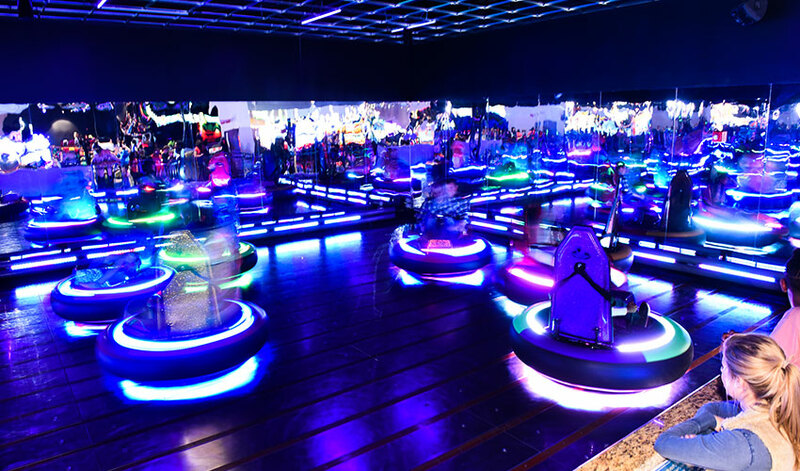 Take a spin on the bumper cars, shoot some pool in the billiards room and have a blast with Balladium as you battle in the black-light arena. Whatever you're in the mood for, Pin Strikes is an action-packed entertainment experience. Enjoy combo packages where you can select one round of four activities for $9.99 Monday-Thursday and $14.99 on the weekends (excluding billiards). Check it out! Shoot a few games of pool on our professional billiards tables. 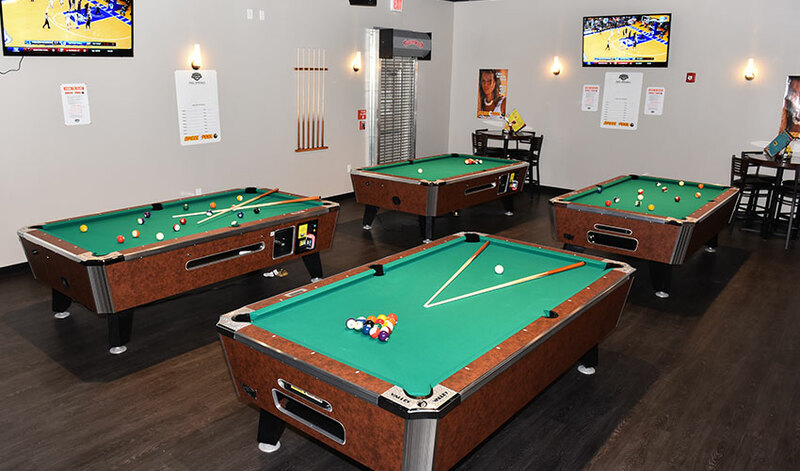 Whether you want to play a game of traditional 8 Ball or Snooker, we offer several billiards tables, sticks and great food and drinks from Splitz Bar & Grill. Calling all gamers. We dare you to test your skills at the Mega Arcade and Redemption Center. 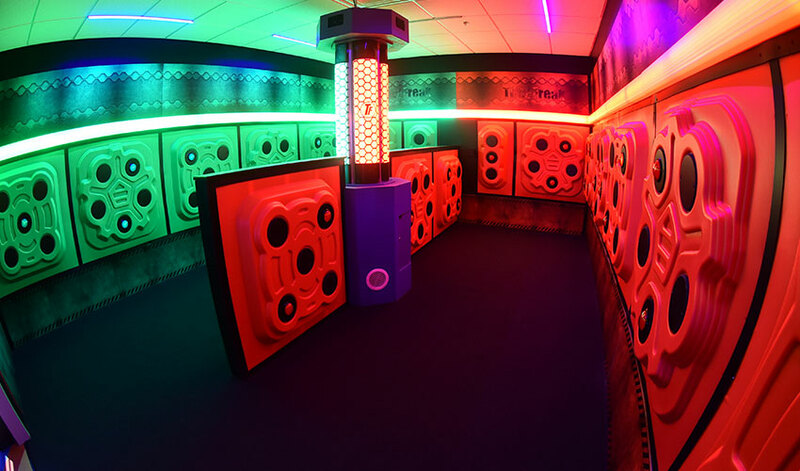 Kids can play the hottest new video games, as well as a blast from the past with PacMan in this massive fun zone. Enjoy a fast-paced, interactive ball blasting game played in a black light arena. Music is pumping, neon UV foam balls are bumping and your hearts will be thumping as you take cover and prepare for battle. No driver's licenses are needed here, but buckle up and embark on a ride you won't forget. Be prepared for non-stop driving action as these bumper cars swirl, bump and take off with a punch. Start your engines! Riders must be 52 inches to participate. 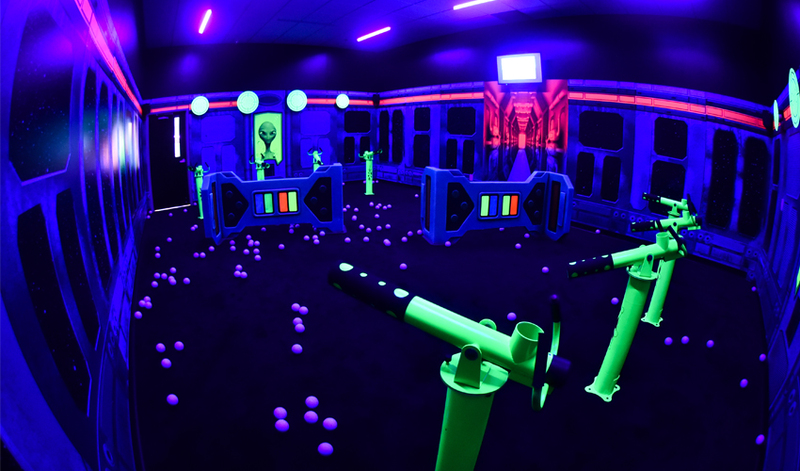 Be the last one standing after an adrenaline rush of laser tag with infrared targets. 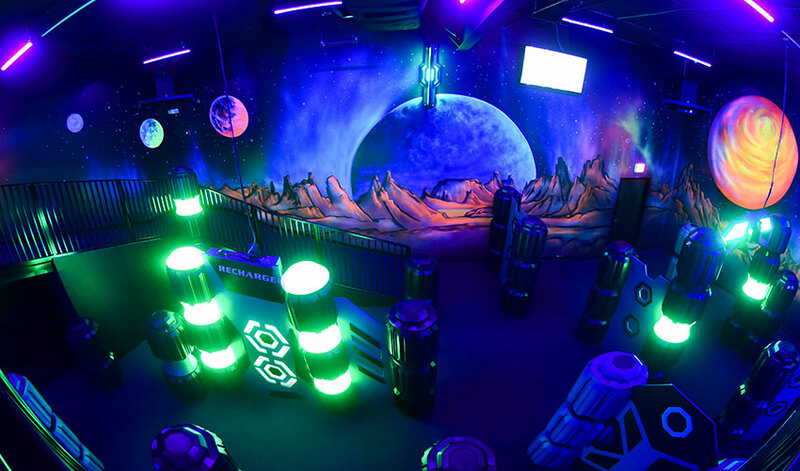 Pick your teams, sport your armor and navigate your way through the labyrinth of lasers and barriers in the high-energy arena. Players must be 5 years of age or older to participate. Get your freak on at this exciting attraction. With loud music, sound effects, and lights, Time Freak challenges players to race against the clock to push buttons as they light up and score points in the ultra violet control room. 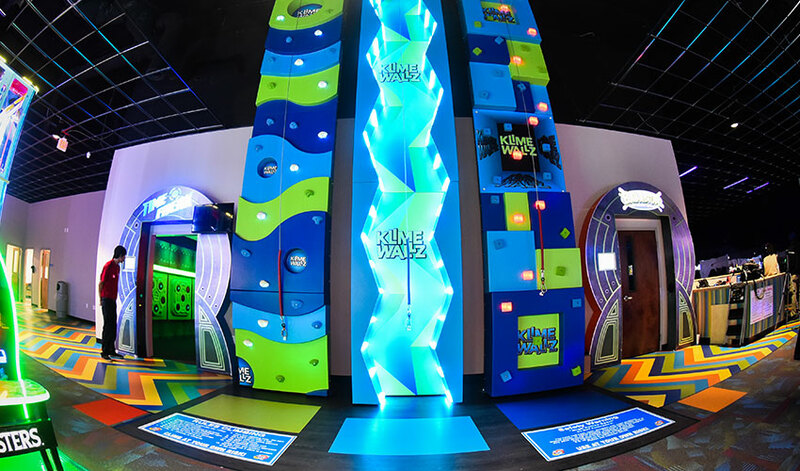 Enjoy ascending our 24-foot indoor rock climbing wall, open daily. Challenge your friends to climb the wall with different elements that inspire adventure. The Rock Climbing Wall is $4 for one attempt and $10 for three attempts. Climbers must be between 50lbs.-230lbs.